COTTO UNDECIDED ON PACQUIAO REMATCH: "I HAVE NOT MADE ANY DECISION YET"
According to WBA jr. middleweight champion Miguel Cotto, rumors that he's reached an agreement for a June 9 rematch with WBO welterweight champion Manny Pacquiao are a bit premature. A recent a report from Lem Satterfield of RingTV.com suggested that, other than "a few minor details", Cotto had agreed to terms to face Pacquiao in Las Vegas at either the MGM Grand or the Thomas & Mack Center. On his official Twitter page, however, Cotto denied the report, informing his followers that he has yet to make any decision regarding his next move inside the ring. "Do not pay attention to rumors. I have not made any decision yet nor reached any deal regarding my next fight," Cotto would post earlier today. Cotto was one of four choices - along with Juan Manuel Marquez, Timothy Bradley and Lamont Peterson - that Pacquiao was said to be choosing from for his opponent when he makes his return to the ring on June 9. Reports from the Philippines suggested that Pacquiao was leaning towards a rematch with Cotto as being his top choice. Pacquiao, however, preferred for the bout to take place at the welterweight limit of 147 pounds, which could be a deal breaker for Cotto, who has fought in the 154-pound division ever since his 2009 loss to Pacquiao, which took place at a catchweight of 145 pounds. 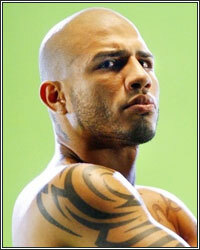 Considering that in the past, Cotto tried to negotiate a 150-pound catchweight for his rematch with Antonio Margarito, and Pacquiao himself captured a jr. middleweight title when he faced the same Margarito at a similar 150-pound catchweight, many assume that the two could come to terms for another catchweight fight, this time at the higher weight. It's unclear, however, if that was even offered. Cotto was also rumored to be an option for Floyd Mayweather, who admitted that a fight with the Puerto Rican champion could be an option for his May 5 bout, but his preference was a fight with Pacquiao. Althought there's been no reports of Cotto being offered the fight, Mayweather did say that he would face Cotto in his own division as opposed to welterweight or a catchweight. Whether or not the fight is realistically an option, however, remains to be seen, but Cotto did hint that a bout with Pacquiao was not the only offer on the table. "At the appropriate time, I will directly be announcing my next fight," Cotto would also post. "I am discussing and analyzing options with my team."